Watch Steve Daines’ television ads this fall and you will see a candidate still introducing himself to Montana – bobber fishing with one daughter, his wife describing how they met in church, his daughters hailing his legislative accomplishments. That’s because two years ago he was a little-known Bozeman businessman running for the U.S. House whose only political experience was a failed lieutenant governor run in 2008. Now, the first-term congressman is set to end a century-long Democratic lock on one of Montana’s U.S. Senate seats. 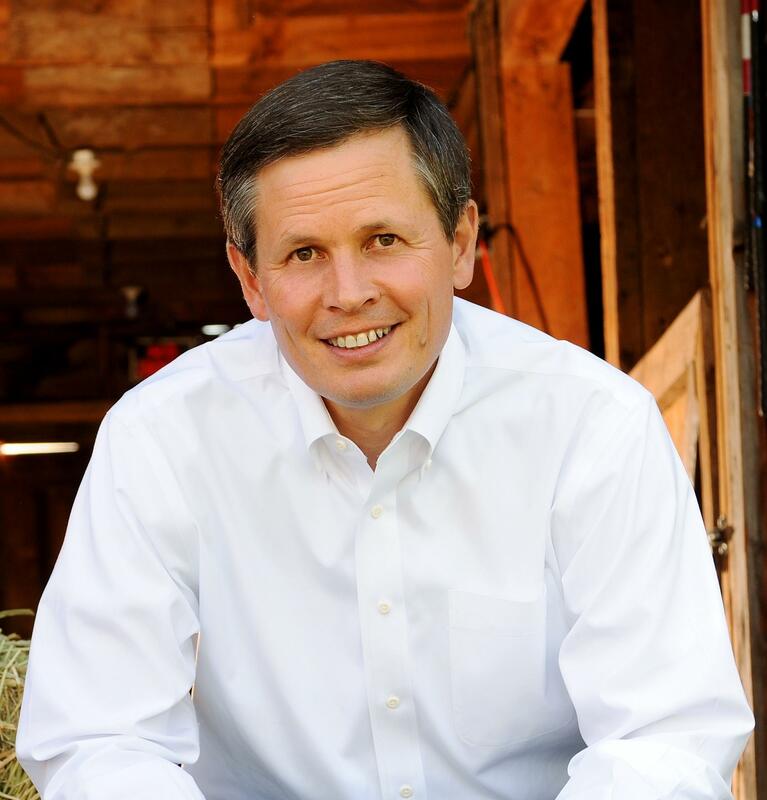 In both of his campaigns for federal office, Daines has stressed his roots in the private sector. A native of Van Nuys, Calif., whose family moved back to Montana when he was 1, Daines spent 13 years with Procter & Gamble as a sales manager in the U.S. and Asia. He left that corporate giant to return to Montana in 1997 and invest in a cloud-computing startup called RightNow Technologies. Daines eventually joined the company and worked as a customer-service and sales executive. While he was there, RightNow added more than 500 jobs in Bozeman before it was sold to tech giant Oracle, something Daines has touted in campaigns. The company’s sale made Daines a wealthy man. Today, his assets are reported to range between $8.9 million to $32.7 million. His Democratic opponent Amanda Curtis, a one-term state legislator, said Daines’ wealth has made him an ineffective representative in Congress. But even more than his being rich, Daines’ politics put him out of touch with most Montanans, she added. During his time in Congress, Daines co-sponsored the No Taxpayer Funding For Abortion Act and voted to extend deadlines for employer provisions under the Affordable Care Act. An analysis of his voting record by Montana State University political scientist David Parker found Daines is the state’s most conservative representative since World War II. “The first thing that leaps out from these data is that, unequivocally, Daines has compiled the most conservative voting record of any Montanan elected to the House of Representatives,” Parker wrote on his blog. Parker said Daines’ record may put him at odds with a state that is not as politically red – or conservative – as it might appear. “Sometimes I’ll cast a vote and the folks on the left will be upset,” he said. “Sometimes I cast a vote and the folks on the right will be upset.” He cited his vote for the Violence Against Women Act as one his conservative allies opposed, although 85 other Republicans also voted for the bill’s passage last year. Some of his moves have done more to irk his fellow Montana legislators more than members of his congressional caucus. In July, Daines signed a letter encouraging Speaker of the House John Boehner to block state-specific logging legislation. Sen. Jon Tester’s Forest Jobs And Recreation Act, which designates three of Montana’s national forests for logging, would be one of those bills. Tester said he was “blindsided” by the letter, but Daines said Tester’s bill is not comprehensive enough. “What I’m looking for ... would encompass all 10 of our national forests in Montana — not just two or three,” he said, pointing to the Restoring Healthy Forests and Healthy Communities Act, which he helped introduce. That bill has passed the House but is stalled in the Senate. He talks about his timber bill as part of his campaign to rein in government spending and encourage business development. His posters and bumper stickers still carry the slogan “More jobs, less government” that helped him cruise to victory in 2012. But Daines has also been careful not to divide his own core Republican supporters. During this year’s campaign, he’s received emails of support from GOP heavyweights like former Secretary of Defense Donald Rumsfeld, from the party establishment, and tea party favorite Sen. Ted Cruz of Texas. “Both (Rumsfeld and Cruz) have cachet with different elements of the Republican Party,” Parker said. In the end, both Parker and GovTrack, a website that tracks congressional votes, report that while Daines is conservative for Montana, his votes put him in the middle of the national Republican spectrum. It’s a position that has helped solidify his role as front-runner in the race. Political statistician Nate Silver has given Daines a 99 percent chance of defeating Curtis. So it’s not surprising, experts said, that Daines has run a safe campaign, focusing on his family and continuing to introduce himself to voters. Still, he faces one more test: a debate with Curtis in Billings on Oct. 20. Parker said Daines’ best bet is to play it safe. “I think all he needs to do is say, ‘Hi, I’m Steve Daines. I created a lot of jobs and I’m kind of moderate,’” he said. On a street near the University of Montana campus in Missoula, a homemade sign faces the road. “Amanda Curtis for U.S. Senate” the wooden sign reads, its colorful ink stark against a white background. The sign was made by Michael Kirby, 53, in his garage. “I like what she has to say,” he said. “She’s not establishment." Life for Bozeman-native Steve Daines has changed a lot in the last couple of years--from more than a quarter century in the private sector to Montana’s sole Congressional Seat. Now, the Republican Representative has his sights set on another office, that of exiting Montana Senator Max Baucus. Capitol Reporter Dan Boyce spent last week in Washington D.C. reporting on Montana’s federal delegation and spends a couple hours in the Washington life of Congressman Daines.